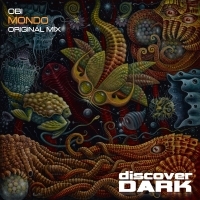 Obi is back with his latest excursion on Discover Dark - Mondo. Driving stabs and dark fx pepper the build as the track speeds along to a breakdown that whilst easing up on the madness is still sinister and hypnotic in tone. Definitely one for lovers of dark and moody tech trance. 'Mondo' is available now from Beatport and iTunes.